All successful fish farmers will tell you that when rearing or breeding tropical or farm fish for commercial consumption, the most crucial stage is ‘nursing for the baby fish’. For these baby fish to grow into healthy mature fish, it’s required that the water in the hatchery is not only kept clean but kept at a regulated temperature (78 degrees Fahrenheit). 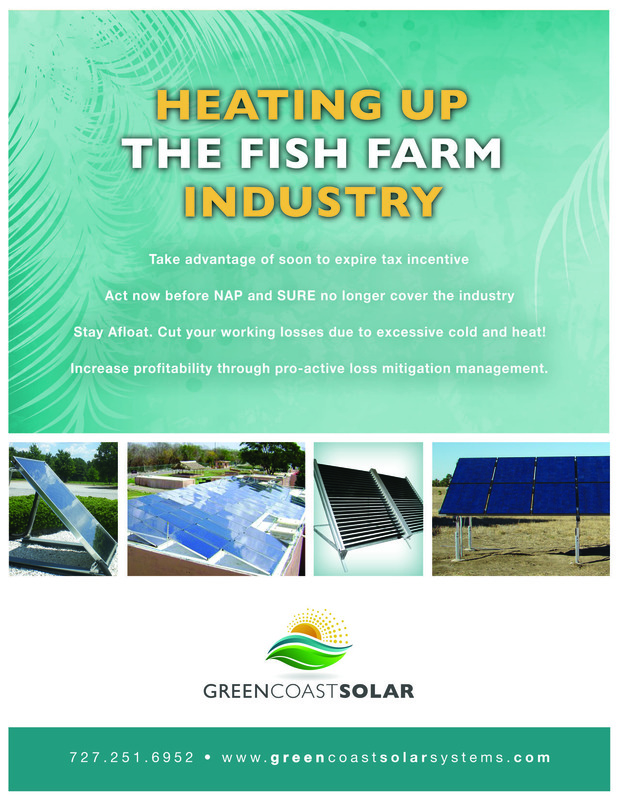 Green Coast Solar provides a cost-effective solar thermal system that will maintain stable temperatures in your hatchery and ensure that you register higher survival rates for your baby fish. In Uganda, a fish breeder with JAFF. Inc Hatchery with a capacity of up to 830.000 fry per months, in Wakiso District, says the solar thermal system coupled with sufficient supply of quality live feed, has helped improve the growth rate of the hatchlings by 24%. He observed that by the third week of nursing the fry (the baby fish of Catfish) are big enough to be supplied to potential buyers or to be stocked in ponds for grow out. The owner of a solar thermal system enjoys improved production and quality assurance as well as making big savings off running costs, particularly on electricity and/or fuel, having substituted them with a free energy source – the Sun – at optimal cost. 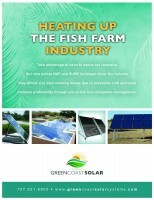 A solar thermal system boosts a scientifically tested energy efficiency of over 70%! The Technology we offer is High European adapted to local conditions which when used properly, guarantees percentage increase in fish sockand quality for both export and domestic consumption.